On 28 November 2016 a new UNESCO Сhair on water resources management in Central Asia was established at the German-Kazakh University in Almaty, Kazakhstan. This is the first UNESCO Water Chair not only in Kazakhstan but in Central Asia region. To date there were five UNESCO Chairs established in Kazakhstan, including in journalism and communication, on educational science and teacher training, in sciences and spirituality, on ethnic and religious tolerance, and on sustainable development. The new Chair at the German-Kazakh University will become the sixth UNESCO Chair in the country. Full list of UNESCO Chairs all over the world is available on the official website. 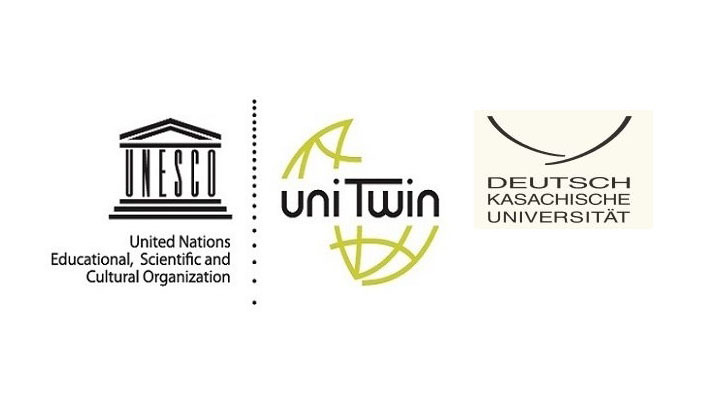 The institution of UNESCO Chairs was established in 1992 after the launch of the UNITWIN Programme (University Education Twinning and Networking Scheme), in accordance with the decision of the 26th session of the General Conference of UNESCO, which recommended to promote inter-university cooperation and academic mobility. The Programme is directed at creating a worldwide system of university education through establishment of UNESCO Chairs and UNITWIN Networks in key areas of UNESCO’s competence: education, natural and social sciences, culture, information and communication. Through this network, higher education and research institutions all over the globe pool their resources, both human and material, to address pressing challenges and contribute to the development of their societies. The newly established UNESCO Chair is aimed at promoting an integrated system of research and training on water resources management in Central Asia, as well as at enhancing capacities of young specialists and senior professionals of water sector.